CEDAR CITY – The No. 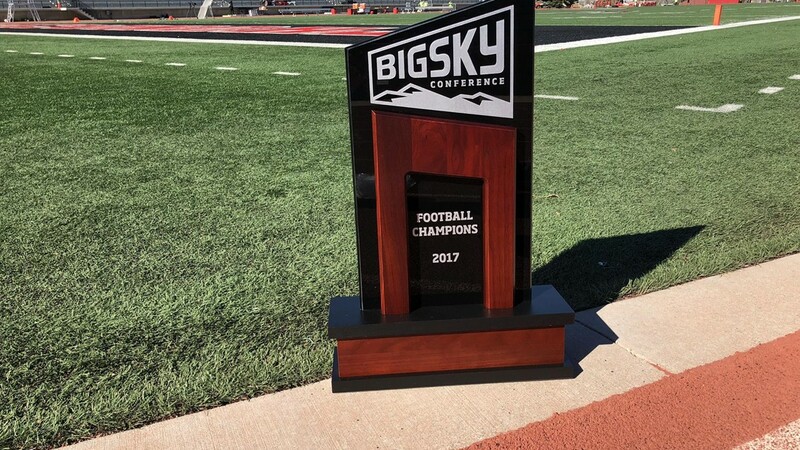 14/18 Southern Utah University football team claimed its second Big Sky Conference title on Saturday, as the Thunderbirds knocked off rival Northern Arizona in the Hinton Burdick Grand Canyon Trophy game, 48-20. The Thunderbirds also earned an automatic bid to the FCS Playoffs with the victory. 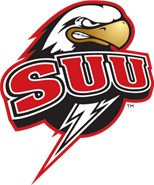 Southern Utah also reached a record high in the wins category on Saturday, as SUU had not won nine games in a season since the transition to Division I football. All nine of those wins came against DI teams. To top it all off, Saturday was Senior Night at Southern Utah University. The first quarter was a duel of the field goal kickers, as Manny Berz put the Thunderbirds up 3-0 with a 21-yard attempt that went through the uprights. Northern Arizona added two field goals before the end of the quarter, and the Lumberjacks led 6-3 at the end of the first. The second quarter is when the Thunderbirds got moving. Berz knocked home a 41 yard field goal to start things off, knotting up the contest at 6-6. After a fumble by NAU on the ensuing kickoff, SUU quarterback Patrick Tyler was able to break into the end zone with his legs and put the Thunderbirds up 13-6. After another fumble by the Lumberjacks on the very next kickoff, the Thunderbirds were able to drive 64 yards, capped by a 23-yard rush from Tyler to put the Thunderbirds ahead 20-6. On SUU’s next drive, the T-Birds went 10 plays, 48 yards to score on the legs of Jay Green Jr., and go ahead 27-6. The Lumberjacks added a touchdown before the end of the half, and the Thunderbirds took a 27-13 lead into the halftime break. SUU’s 24 points was the most the Lumberjacks had allowed in a quarter all season long. Landen Measom had seven catches in the opening half. The T-Birds didn’t get moving quickly in the third quarter, but were able to get on the board with 6:34 left as Green Jr. broke into the end zone and put SUU up 33-13. 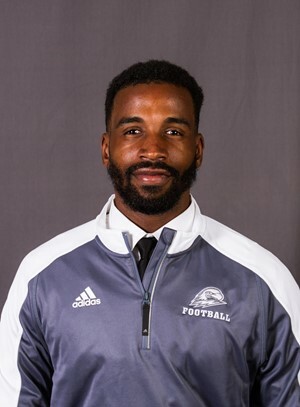 The Thunderbirds struck again right before the end of the quarter, as Isaiah Diego-Williams scored on a fly sweep to put the Thunderbirds up 41-13. SUU added one more touchdown, thanks to Green Jr., before the contest wrapped, and the Lumberjacks were able to get one more as well to bring the final score to 48-20. Tyler finished with 238 yards through the air on Saturday, and ran for 31 yards and scored two touchdowns on the ground. Green Jr. finished with 134 yards and three touchdowns on the day. Former Desert Hills High School star Mike Needham finished with four tackles, a tackle for loss and a pass breakup on the night. Jarmaine Doubs Jr. led the team with seven tackles for the game. Tyler Collet had six, and both Mitch Dalley and Alex Sims had five. Southern Utah claimed its first Big Sky Conference Championship in 2015. The Thunderbirds outgained the Lumberjacks 442-379. SUU (9-2 overall, 7-1 in the Big Sky Conference) ends up in a tie with Weber State for the conference title. But the T-Birds claim the conference crown and the FCS Tournament bid by virtue of their 32-16 win over the Wildcats back in mid-October in Ogden. The Thunderbirds will now wait to see what’s on deck next, as the FCS Playoff Selection Show will take place at 9 a.m. MT on Sunday morning. Late fumble hands SUU playoff loss in crazy game at Sam Houston St.